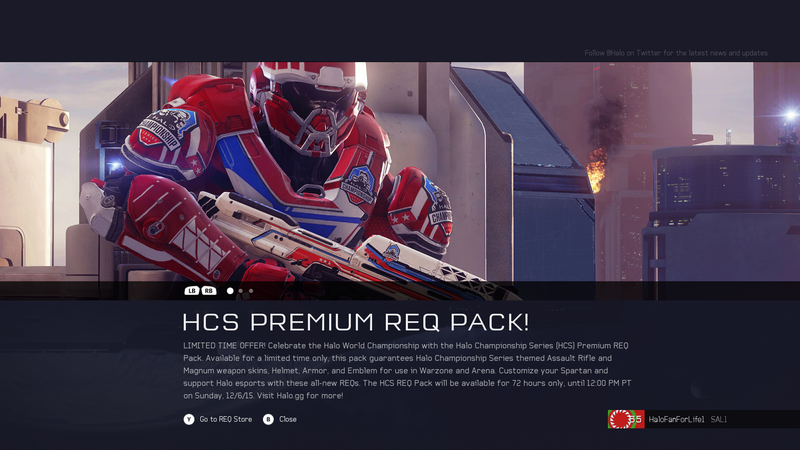 Limited time HCS REQ pack! 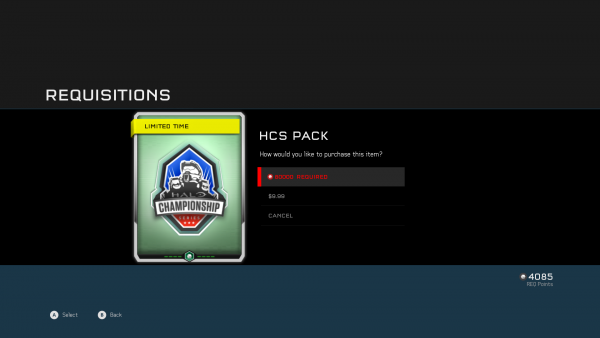 With this special pack you unlock 5 HCS skins. If you buy more of this pack, you will then unlock 5 rare items. 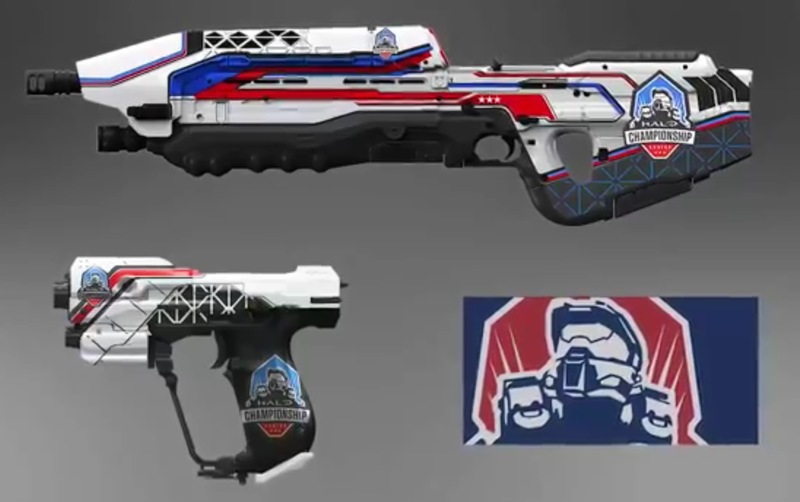 If the previews hold true, these are the visuals you will get (as I posted here previously). You have until midday Sunday to get this! So either PLAY Halo 5 a lot or pay that $10! 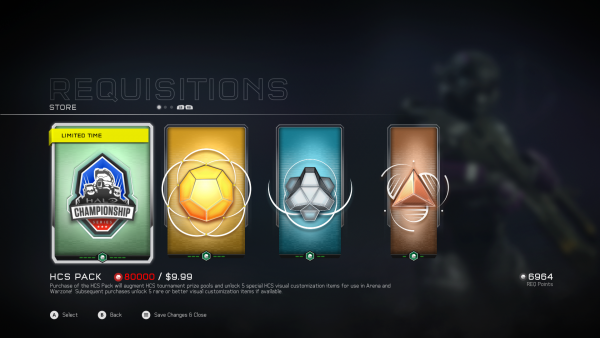 I’m already at 50,000 REQ points. Got those all today in a mix ofwarzone,arena. So this CAN be done folks!! !